Floodgates. For some, in New Orleans, they are an obsession. From one character’s desire to end the plague of pestilence to another’s discovery of their potential failure, the floodgates holding back the water is central to this murder mystery tale. It’s 2008. Three years since Katrina wrought devastation in the area. New Orleans has resumed a semblance of normality, but low lying areas, like the Lower Ninth Ward, are still silent testaments to the destruction one hurricane and the failure of the levees, the floodgates, brought about. Matt, a park ranger, takes Faye on a tour of the Lower Ninth Ward, and it is there that a body is discovered in a dilapitated house. One look though, and Faye reasons that this is not a victim of the flood—an all too real possibility even three years later—but rather a woman who was killed. The victim, Shelly Broussard, was, like Faye, an archaeology student who in the immediate aftermath of Katrina used her knowledge of aerial photography and GPS to help lead rescuers to those needing aid. It turns out she was well-known to Matt, to Faye’s assistant at the dig, Nina, and to Nina’s boyfriend, Charles, who works with an engineering firm that may have a connection to the failed levees. The characters in Floodgates are refreshingly diverse and reflective of New Orleans itself. “When walking down a New Orleans street, she was rarely the only person of uncertain racial heritage within eyeshot.” An apt description of Faye, who is biracial, and who learns something of her uncertain heritage in the course of this story. Faye’s boyfriend is Joe Mantooth, a Native American of Creek descent. Though neither of them are originally from New Orleans, they are staying in a Tremé neighborhood apartment. Their landlady is Dauphine, a mambo (think voodoo priestess), who is also assisting with Faye’s dig. Then there’s savvy, seemingly laidback Jodi Bienvenu, the police detective who “hires” Faye as a consultant to help investigate Shelly’s murder. Without overly descriptive passages, the novel paints evocative portraits of its New Orleans locales, from the Chalmette Battlefield and the Lower Ninth Ward to Jackson Square and the French Quartier to Congo Square and the Tremé neighborhood. Characters conversations about Katrina and its aftermath particularly resonate, though this may disturb sensitive readers and those who may have a more personal connection to the events described. If anything, the whodunit is perhaps the weakest element here, but it’s more than compensated for by an interesting story and engaging characters. 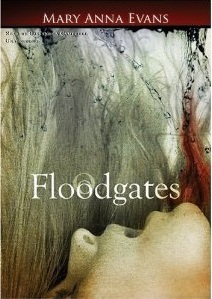 Floodgates is the fifth book in this archaeologically themed mystery series.